The Hugging Home: Blogs That I Dig! I dig 'em and I love 'em! 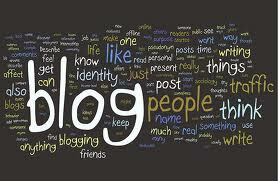 I have been blogging since May, 2011. 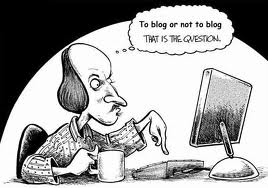 I knew I loved to write, but I was not really sure about the whole blogging thing. Ya know...putting myself out there like that. Really it has not been that long...but it kinda feel like I have been doing it forever. Perhaps because I have been writing for most of my life, or maybe because I have gotten so in to it that it just feels like such a part of me now. In any case, it is a new year and with that has come a sense of wanting to write new things, come up with interesting ideas, thank a bunch of people and hey...maybe make some more money from my writing and blogging. Maybe THIS is how I will start making more $$$? I hope not! 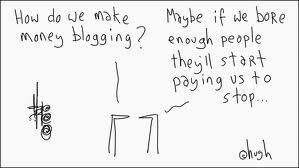 One thing that happened in 2011 that I am kinda tickled about, is that I have been told that I inspired a few people to start their own blogs. Some of them are very new, and some have now been at it for a little while and I think they are awesome! 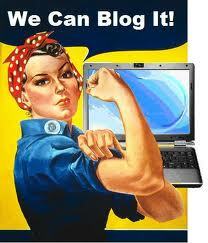 So I thought I would introduce you to a few of these bloggers and their sites. Some may be your cup of tea....some may not....but check them out! Life is but a Stage - Heather is a friend I used to work with waaaaaaaay back in my insurance underwriting days (oh yes, I was an Underwriter! 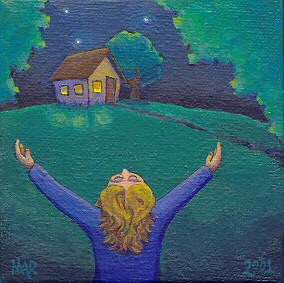 ), and her blog is a collection of musings about her life as a working mom and step-mom. She is also quite the fiction writer - check out her short story called Margaret - truly amazing stuff. Canadian Cheapo's Shopping Adventures - Fay is someone I knew in high school. To say we were good friends is a stretch. We just didn't know each other very well, that's all. We started chatting as a result of my blog and now...she's at it! Being someone who loves to save money, her blog about all the tips and tricks to do so and is a great resource for me...and could be for you too! Awesome! Dogstwentyfourseven - Becky is a woman who recently did a guest post here on The Hugging Home called Dogs 24/7: My Life as a Dog Walker. Becky was introduced to me by my mom - they attend the same church. 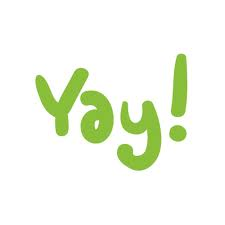 One of her goals for 2012 was to start a blog and after the great response she got from her guest post she took the plunge and went for it and is posting away! I don't know how she finds the time with all the dog walking she does! Check out this new site - especially if you are a dog and/or animal lover. Loving it Becky! And a few more mentions I would like to make! I didn't inspire any of these people to start blogging, but I recently started reading their stuff and really enjoy...so I will share with you also! This Life as I LOVE it! - Heather (yes, another Heather!) is someone I cam across on Twitter and is a mother/step-mother of five and an army wife as well as a woman who runs her own business. Whew! She is very positive and uplifting as is her blog. She writes about her life and looking on the bright side. So happy to have found you Heather! Christie's Wings - Christie and I "met" by way of Facebook and she has been a loyal Hugging Home reader for a while. She recently started this new blog about the importance of being proactive in your life and follows her journey as she spreads her own wings. Sound familiar? Ahhhh...a woman after my own heart! Of course, there are many more blogs I would love to tell you about, but these ones have a special spot in my heart! I am sure I will do another post like this in the future...I am meeting and discovering new interesting bloggers each day! So check these ones out peeps! You're sure to find something of interest! SO thankful to you Lora, I will be checking out all of your recommendations that I'm not already a fan of! :-) You're an inspiration to all!